Headlines and information about the study of copyright and fair use provided by the Center for Internet and Society (CIS) at Stanford Law School. Created by the University of Texas, this guide provides information about the use and management of your own and others' copyrighted works. The official US government website containing full information about copyright law, registration of works, and interpretations of copyright. Every member of the Dominican University community is responsible for his/her use of material in a course and to ensure it is in compliance with federal copyright law. University offices will not knowingly assist any faculty, staff, or student in creating material that can be reasonably anticipated to be in violation of copyright and outside the fair use guidelines outlined below. The educational process involves research and creation of works, and Dominican University students, faculty, and staff are active members of this process. Dominican University faculty, staff, students, and administrators must also recognize, and abide by the U.S. Copyright law while teaching and researching. Any Dominican University affiliate that does not comply with the fair use standards of the U.S. Copyright law puts the University at risk and assumes liability for their actions. It is important that everyone who uses library materials, creates works, teaches, and places items on reserve or in the learning management system understands the U.S. Copyright law and fair use. 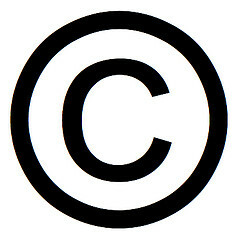 This overview is for reference only and is subject to any future changes in copyright law. See the resources provided at the end of this Policy if you are uncertain about whether using or copying material is permissible under the law, whether such use complies with the University’s procedures, or when and how to obtain proper authorization to use copyrighted material. Any author or creator of a work expressed in a tangible medium--if you can see it, hear it, touch it, or read it--can claim copyright. A major exception to this rule applies to "works made for hire." Works made for hire are, generally, anything created by an employee within the scope of employment or any work commissioned by a body for a particular purpose. Also free from copyright are titles, names, short phrases, abbreviations, and works created entirely of publicly available knowledge and containing no original authorship. Copyright protection extends to both published and unpublished works and no registration is required. In some cases the author or creator may choose to transfer the copyright of a work to another entity. Transfer of exclusive rights must be documented in writing and must be signed by the copyright owner. What works are covered protected copyright law? These categories should be considered broadly to include works not explicitly defined here. Copyright protection extends for many years. The general rule is the author's life plus 70 years. In the case of joint authors, copyright protection endures for 70 years after the last author's death. Works of corporate or anonymous authorship are protected for 95 years from the date of publication or 120 years from the date of creation, whichever is shorter.